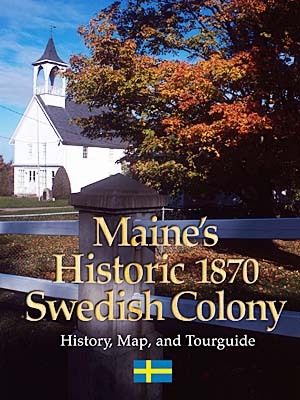 MaineSwedishColony.info makes connections between organizations, schools, and individuals in the community and promotes community cultural development. Maine Swedish Colony a historical designation for the region in Aroostook County, Maine, that is loosely defined by the towns of New Sweden, Stockholm, Woodland, Connor, Perham, Westmanland, Madawaska Lake, and Caribou. 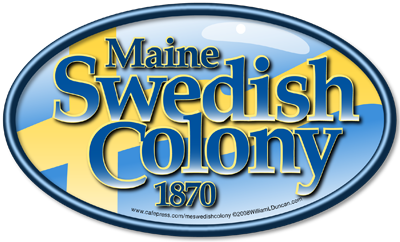 The Sons and Daughters of the Colony of New Sweden (New Sweden Historical Society) and Maine’s Swedish Colony, Inc. have merged under the New Sweden Histroical Society name. History, Map and Tourguide, An online version of the 2001 booklet written by Richard Hede. The Map page has a link to a big Colony map. The Report on Discovery Research Fieldwork in the Swedish Colony by folklorist Matthew Shippee. This report is part of the research for the Cultural Directory survey sponsord by Maine Arts Commission and New Century Fund of the Maine Community Foundation.